Do I Need To Charge My Battery For 8 Hours When New? “How long should I charge my e cig battery - when charging for the first time…”? 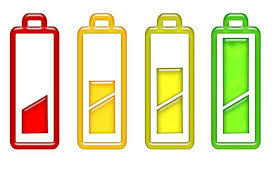 For the majority of electronic cigarette battery models, an initial charging time of 8 hours is recommended. After that, most models of e cig batteries take between one to 4 hours to charge on the mains USB charger. You should allow lithium-ion batteries to almost completely discharge. Continuous partial discharges create a condition called digital memory, decreasing the accuracy of the device's power gauge. So let the battery discharge to the cut-off point and then recharge. The power gauge will be recalibrated.